PM Netanyahu addresses reception in honor of Guatemalan embassy in Jerusalem. Prime Minister Binyamin Netanyahu and his wife participated Wednesday evening in a reception for the Guatemalan delegation on the occasion of the opening of the Guatemalan Embassy in Jerusalem. 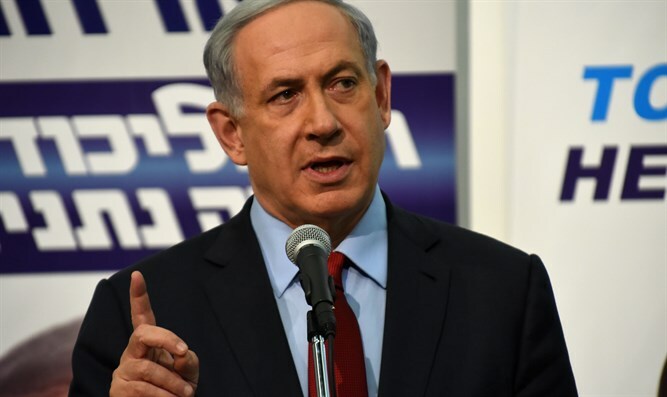 Netanyahu addressed the violence along the Gaza border in recent days. "I am happy to say that at least today we saw that there was a relatively quiet day on the Gaza border. That's good, because of our preparedness and because of the determination of the IDF soldiers who defend our borders.They do not defend against any civil demonstration, it is a warlike move by Hamas. " "A Hamas spokesman said today that 50 of the 60 people killed are Hamas members. We know of similar numbers. Israel will continue to defend itself as needed and will not allow those who call for its destruction to break into our borders and threaten our settlements."